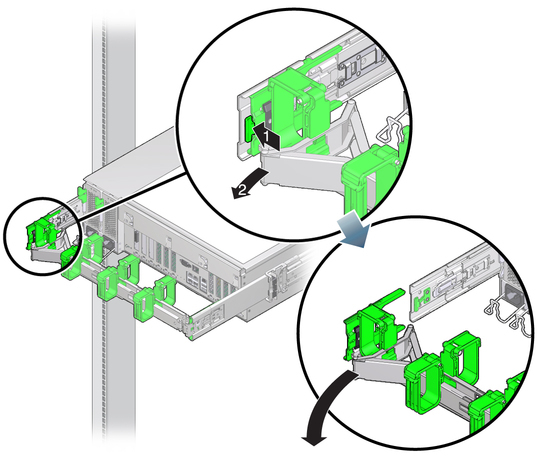 For some service procedures, if you are using a cable management arm (CMA), you might need to release the CMA to gain access to the rear of the chassis. Note - For instructions on how to install the CMA for the first time, refer to SPARC T4-2 Installation Guide. Swing the CMA out of the way. When you have finished with the service procedure, swing the CMA closed and latch it to the left rack rail.